A Model Schedule of the various registers that RSLs should hold is now available on the SFHA website for all SFHA members. 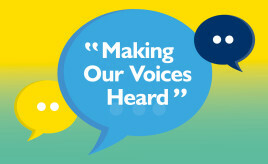 SFHA is concerned that the intention is to include RSL subsidiaries under the scope of extension depending on the services provided - we are seeking input from members ahead of the consultation closing. SFHA Chief Executive Sally Thomas provided oral evidence to the Local Government and Communities Committee on the Housing (Amendment) (Scotland) Bill recently. The SFHA, GWSF and TC Young met with a small working group of members to discuss initial drafts of GDPR guidance and templates we are jointly producing for members. The meeting took place on Tuesday 9 January. SFHA has put together a working group of members to feed into the production of further governance guidance. Although communciation with the group is predominently electronic, SFHA will from time to time bring together a meeting of the group at key points. On 14 September 2018, SFHA brought together the group to identify priorities moving forward. You can read a note of the meeting by signing in and going to the downloads section below. SFHA has commissioned Linda Ewart to produce guidance looking at self assessment against the regulatory standards. On 11 January 2018, SFHA and Linda Ewart met with Elaine Byrne from the Scottish Housing Network to chat about the online tool SHN has put together for its members in this regard, to ensure that the guidance we produce is not just duplication and is as useful to SFHA members as possible. On 8 January 2018 the SFHA met with a group of members to discuss a draft of the forthcoming Internal Audit guidance. 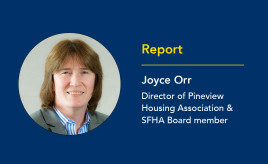 SFHA has commissioned Caron Quinn to produce this guidance, who was pleased to receive constructive feedback from the group. 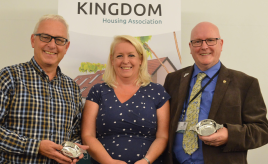 Kingdom Housing Association has elected five new Board members. 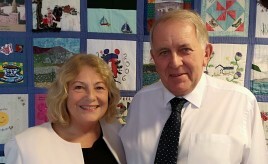 Langstane appoints Chair, Vice Chair and Treasurer at its 40th AGM. 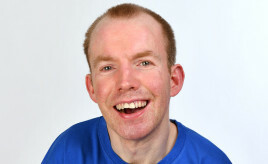 Abbeyfield Scotland changes Chair and appoints new Vice Chair. 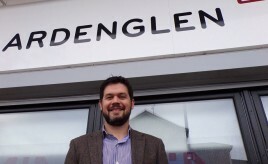 Alex Warren and Lucy Carr joined the Board at Ardenglen’s busy AGM held in Castlemilk. Blackwood is putting a fun and engaging twist on its annual general meeting with an escape room. Soaring tenant satisfaction levels confirm social housing is a great place to live. A commencement date will be confirmed in Scottish Government's formal response to the consultation.